Lovely paper holy card, printed in Italy on cardstock. 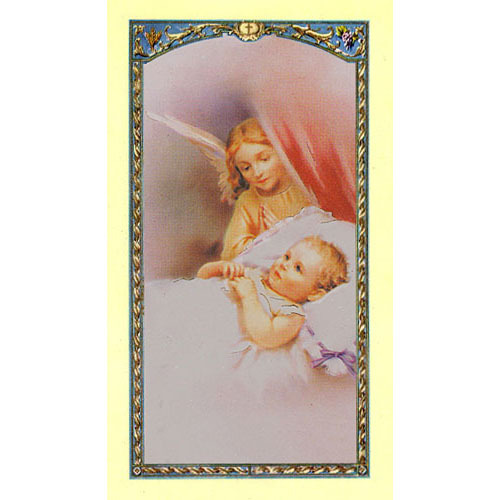 2 5/8" x 4 3/8 Prayer on back: Precious little baby, don't be frightened never fear. As you travel through life's perils, God is always near. He has sent a Guardian Angel to embrace you with an arm. To guide you through the darkness and keep you safe from harm.